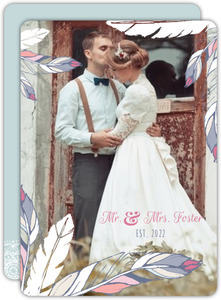 Go all out with our Boho Chic Delicate Feather Wedding Invitation. 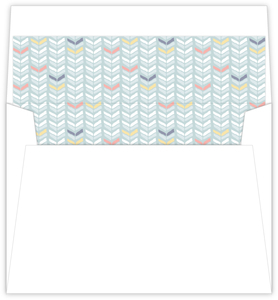 The cover features a pale blue background with multicolored feathers around the borders. 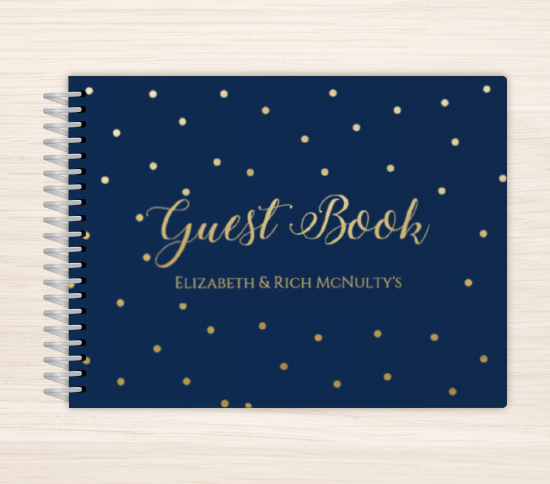 At the center are the bride and groom's names in dark blue. 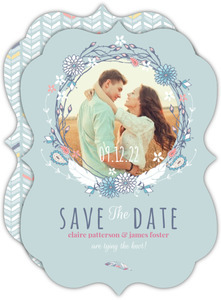 The first part shows a pale blue backdrop with the bride and groom's full names in blue and pink text and ceremony details in uppercase, blue letters above the white lace, scalloped bottom border on the left hand side, and a picture of the happy couple on the right hand side with a tab saying Our Wedding Day. 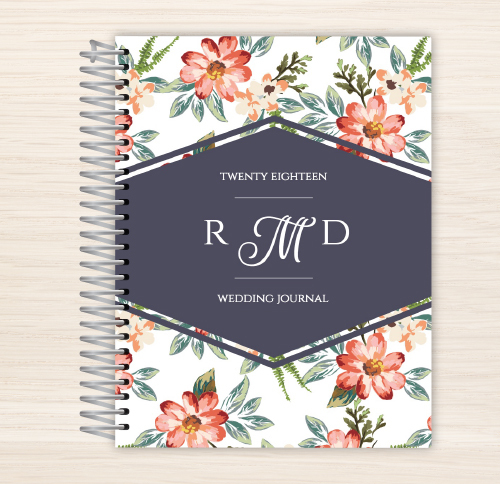 The second part has a delicate feather wreath with blue Dinner and Dancing words and pink following the ceremony typed below in smaller words on the left hand side, and a second picture of the happy couple on the right hand side with the wedding date on the tab. 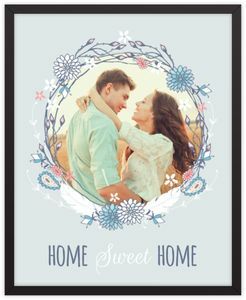 The third part lists Accomodations and Registry info with blue titles and white paragraphs above a white lace scalloped bottom border on the left hand side, and a third picture of the engaged couple on the right hand side with a tab stating the wedding location. 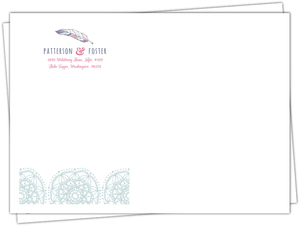 The back cover is pale blue with a delicate feather at the top and the wedding registry below. 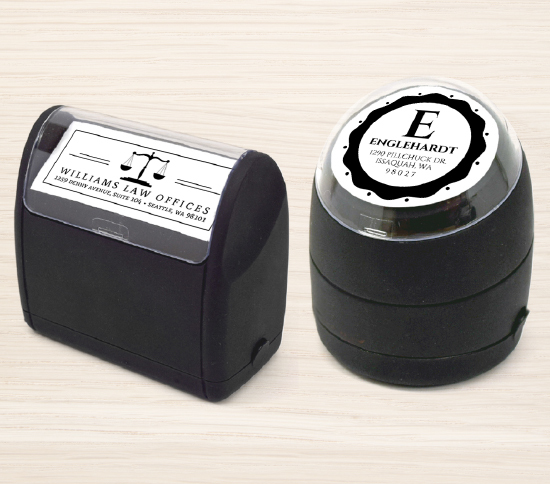 Personalize, then send to family and friends and impress them! 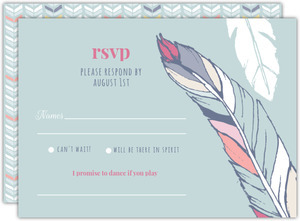 This Boho Chic Delicate Feather Wedding Invitation is one the of the many designs in our Rustic Wedding Invitations collection. 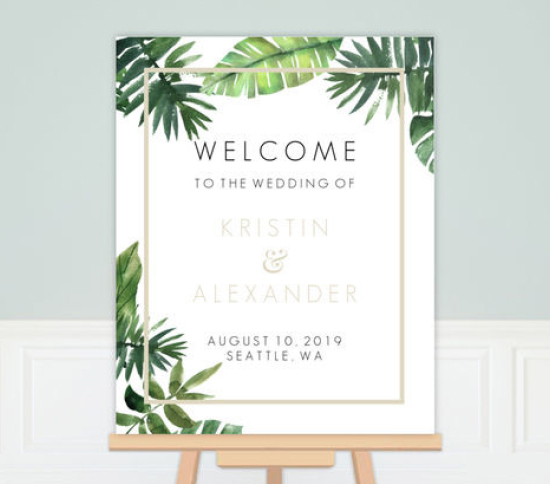 If you don't see a design in our Rustic Wedding Invitations collection that you like, please let us know what you have in mind and we will be sure to add it as we refresh our collection.